Hello! How’s life? Let’s just say, things have been busy around here. Busy with good things, but still busy. But I carved out two “we-are-going-nowhere” days this week and they are just what the doctor ordered. (Seriously, we’ve been so busy, we actually ended up at the doctor’s office with ear infections and sinus infections and he said, “You’ll probably be fine if you get some rest, but here’s a prescription if you think you need it.” He’s a great doctor.) Yesterday I vacuumed, dusted, cleaned bathrooms, and played with kids, and today I finally have a chance to think. I read an all time low of three books last month. Yowch. I mean, really, that is an all. time. low. But it’s okay! I did some other worthwhile things, and one of the books was a book I really needed to ponder. 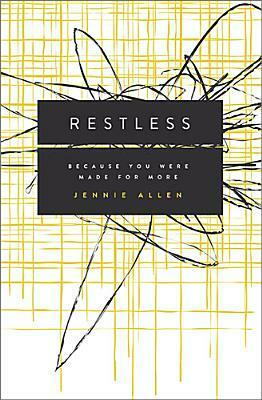 It’s called Restless, by Jennie Allen. A small group of women introduced me to Jennie Allen’s study, Stuck. I get chills even now when I think of how we all started with that book study focused on getting past the places where we feel like we just can’t make any progress, whether it’s anger, sadness, busyness, discontent, or feeling broken. Some of us in the group realized some places we didn’t know we were stuck. And then my awesome friend who also blogs decided to host the IF: Gathering at her place in February. It’s amazing how we all were feeling stuck in various ways, then we were ready to move on from being stuck, and the IF: Gathering was timed right then. Because the IF: Gathering was all about moving into a place where we cast of fear and realize God has put us all here on this earth for a reason and it’s time to pursue that reason. Christine Caine talked about moving from being delivered to being free. Rebekah Lyons talked about how simple the word “calling” really is. And there was so much more. It was all awesome. Now I’m almost done with the book Restless, and it has been a continuation of that theme of realizing God knit us together in such a way that we each have something unique to offer. I highly recommend it. I’m not a Jennie Allen junkie (yet), but her stuff is really honest and relevant to women today and it’s worth looking into. 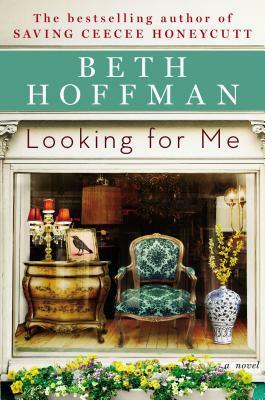 On the fiction side of things, I was excited to read Looking for Me by Beth Hoffman, author of Saving CeeCee Honeycutt. I’m sorry to say, it was quite lackluster compared to her debut. Poor authors whose first books are amazing! That’s a lot of pressure. But this is an honest review, and Looking for Me seemed a little winding, wandering, and overall lacking on major themes. I’m not even sure if the main character, Teddi Overman, found herself in the end. She found a guy and bought a house, so I guess that’s something. ??? I was not a fan. But I’ll admit, I kind of checked out on searching for the deeper meaning about 3/4 of the way through when it seemed like Teddi was going in circles. I’m not against circles…as long as there’s eventually a really good ending point. The book that pleasantly surprised me was Dear Mr. Knightley by Katherine Reay. “What in the world?” you may ask. “Why did you read another one of those Jane Austen knock offs you hate?” Despite the title, this novel is not actually a continuation or even a variation on Emma or any of Austen’s books. It’s actually a modernization of Jean Webster’s Dear Daddy Longlegs, which is a great book if you like old-fashioned goodness. 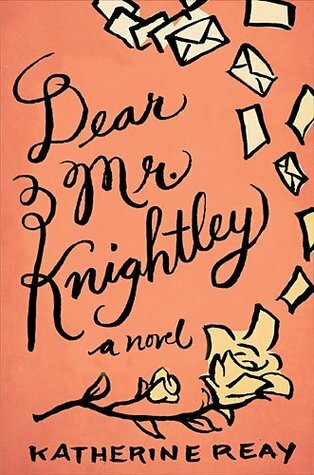 Dear Mr. Knightley is about Samantha Moore, an orphan who grew up in foster care and books. Her reading was her world for a long time, but as she enters adulthood, she finds she has to set aside the book personas she so easily dons and embrace her real life story. What I liked the most about the book (besides all the references to classic literature), was how Reay wrote a quality book with strong characters that eventually points her heroine to God, without writing the (forgive me) often predictable Christian novel. This book was predictable in ways for me because I read the classic it’s based on, but it had a gritty realness to it mixed with the change that takes place in a person when they start to understand unconditional love. I don’t know if I can make any sense in explaining it, but it was a good read. I felt empowered as a writer by reading a book that was both clever, well-written, and based on the love of God. So that’s what I’ve been reading lately. Now I have to scramble to find some vacation reads for two trips coming up later this month and in May. Hurrah for beach reads! Please, send me your recommendations ASAP.